New Delhi, April 10: Indian cricketers are considered one of the richest in the world, but former India opener Virender Sehwag believes that things could have been very different had it not been for the efforts of the likes of Sachin Tendulkar, Rahul Dravid and Anil Kumble among others in 2002. Speaking to IANS, during the launch of Indo International Premier Kabaddi League (IIPKL), Sehwag said that it was the effort of the senior players 17 years back that saw the Board of Control for Cricket in India (BCCI) share the revenue earned with the cricketers - both international and domestic. "It always helps when you get a share in the revenue along with the fees that you get. Say for example if 100 players are playing and 20 per cent is being shared, then it gets shared equally. That is a permanent income. We had to fight for it. We got 26 per cent for that, something which I don't think u get in any other sport." Virender Sehwag Says Not Interested in Joining Politics Ahead of Lok Sabha Elections 2019. "The episode happened in 2002 and after that there haven't been any issues between the board and the players because both parties wanted that cricket should thrive and that our players should be one of the best in the world," he explained. "Today if the players are getting paid so well in the IPL, what do you think is the reason? It is because of the efforts put in by Tendulkar, Kumble and Dravid among others. Had they not fought, maybe there wouldn't have been so much money in the game. 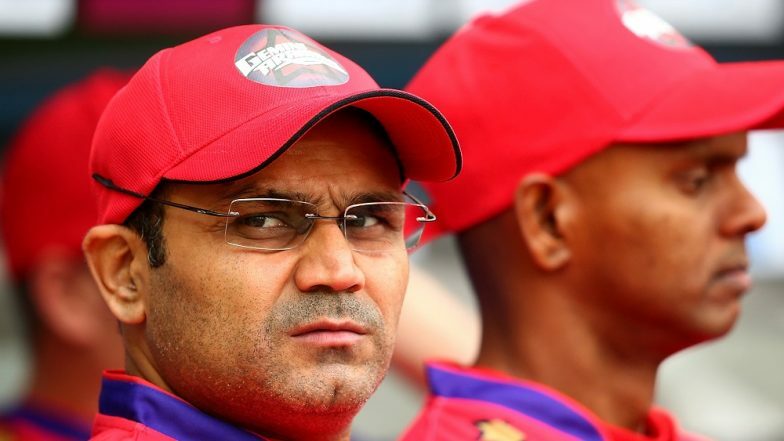 "Ahead of IPL 2019, Virender Sehwag Asks Netizens to Associate Their Favourite Teams With Movie Names; Netizens Come Up With Hilarious Replies. While the IIPKL isn't recognised by the national body, Sehwag wants an exception to be made as more competitions will ultimately help the game grow. He even added that more leagues or competitions would help selectors pick the best of players for the national team. "Players shouldn't be banned (for participating in unrecognised leagues). Sports ministry can decided who will make associations and who will run it. At the end of the day you have to watch the performance of the players when you pick a squad. So, having more leagues will help the federation." "Performances in leagues will help and banning players will at the end of the day effect the game. If the leagues happen at a different time, players can even play both leagues. Sitting at home the players can only work on fitness not the game," he explained. Sehwag said that the league's decision to share the revenue with the players is a concept that really impressed him. "Sharing of revenue is very important because what you get in the auction might not be much. But when the revenue is shared, everyone gets it. This is like a permanent income. This isn't the process in other sports and that should be picked up by other leagues also," he said.